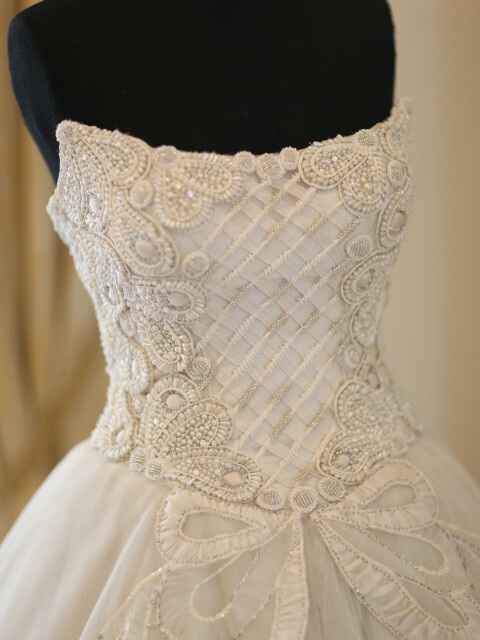 The bodice is a lace corset bustier inlay, it hugs your body and define your waist line. The corset is imported from Italy and very comfy and stay put. So you don’t have to worry all day and night. Especially during dancing. The zipper closure is covered with satin french button. 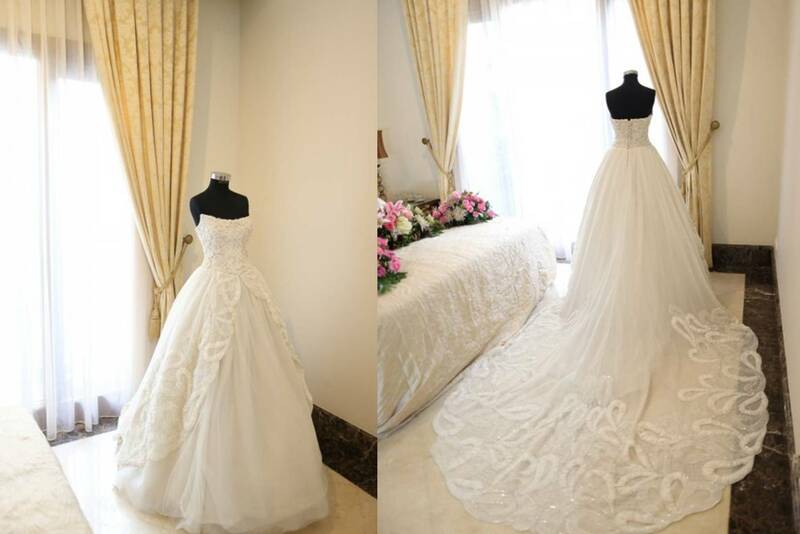 The skirt is ball gown with a long train, beaded with scallop pattern. Also included in this dress is a custom off-shoulder long sleeve tulle bolero with a bow at the back. Perfect for a “day look”. Long tulle veil is also included.